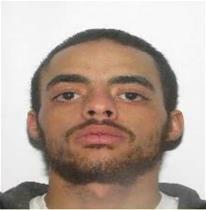 Hanover, VA – The Hanover County Sheriff’s Office and Hanover Fire Marshall’s Office are requesting the public’s assistance in locating Tyrone Lamont Smith, Jr., 22, of Ashland. Smith is currently wanted by the Fire Marshal’s Office for Threats to Bomb. This charge stems from an incident that took place on December 31, 2016. On this date, Smith threatened to bomb a business located in the 8000 block of Creighton Parkway after an argument with an employee. Smith is believed to be in the Metro Richmond area. Anyone with further information about this incident, or knows the whereabouts of Tyrone Lamont Smith, Jr., is asked to contact the Hanover County Sheriff’s Office at (804) 365-6140 or the Metro Richmond Crime Stoppers at (804) 780-1000. Citizens can also text Crime Stoppers at 274637 (CRIMES), using the keyword “iTip” followed by their tip. Both Crime Stoppers methods are anonymous and can result in a reward of up to $1,000.